International speaker and TEDx presenter Chloe Howard shares her story of overcoming injustice and battling self-doubt-and how it empowered her to live fully, embracing her unique self. It's clear from page one that this is not just Chloe's story. It's the story of every teen who has ever felt broken, bullied, or shamed. But this is anything but another teen book. Earned in the trenches of teen life, Chloe's struggles, advice, and inspiring words are as real as it gets. 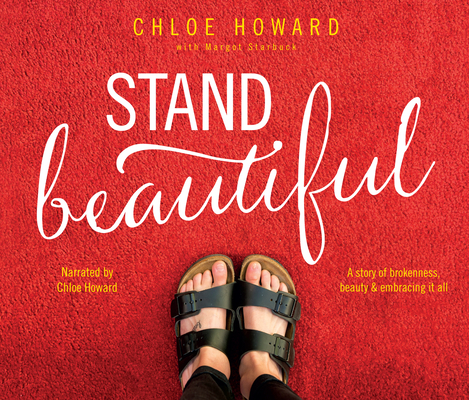 Boldly addressing the unlikely hero in each of us, she shares how her faith enabled her to endure the physical and emotional pain she experienced due to being born with a clubfoot-such as assaults at school, which later empowered her to start a movement called Stand Beautiful to support teens who have faced harassment. Through her words-and a foreword written by Bono-listeners will be inspired to be brave, to speak up against injustice, and to redefine beauty as more than what the eye can see.